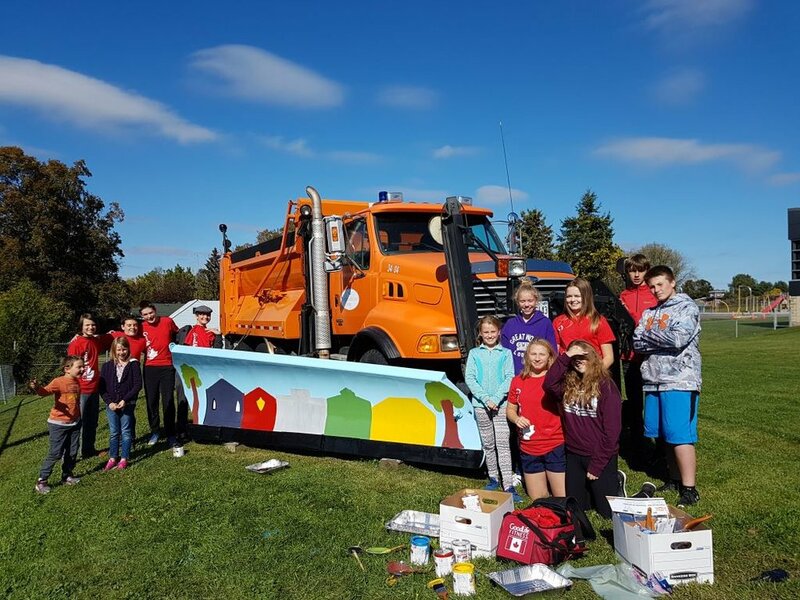 Three elementary schools across the County are painting murals on the blades of Northumberland County snow plows this week. The murals are based on the theme of “Ways We Work Together”, and the participating schools are Ganaraska Trail Public School, St. Anthony Catholic Elementary School and St. Mary’s Catholic Elementary School. Ms. Herrell’s Grade 8 class and Mr. Doris’s Grade 1-2 class from St. Mary’s School in Grafton, are creating a mural based on the school board’s principles. The finished plows will be on display at County Headquarters during Local Government Week from October 15th to the 21st.